As brightly shown by Mainzer , the science of complexity has many distinct origins in many disciplines. Those various origins has led to “an interdisciplinary methodology to explain the emergence of certain macroscopic phenomena via the nonlinear interactions of microscopic elements” (ibid.). This paper suggests that the parallel and strong expansion of modeling and simulation - especially after the Second World War and the subsequent development of computers - is a rationale which also can be counted as an explanation of this emergence. With the benefit of hindsight, one can find three periods in the methodologies of modeling in the empirical sciences: 1st the simple modeling of the simple, 2nd the simple modeling of the complex, 3rd the complex modeling and simulation of the complex. 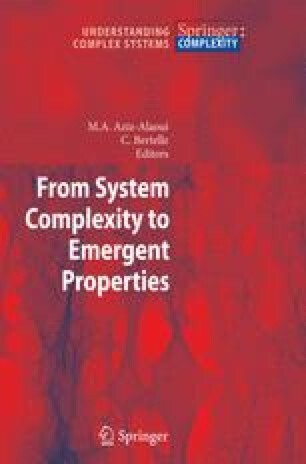 Our main thesis is that the current spreading (since the 90’s) of complex computer simulations of systems of models (where a simulation is no more a step by step calculus of a unique logico-mathematical model) is another promising dimension of the science of complexity. Following this claim, we propose to distinguish three different types of computer simulations in the context of complex systems’ modeling. Finally, we show that these types of simulations lead to three different types of weak emergence, too.